It is our pleasure to welcome you to this page which is dedicated to helping electric gate owners and users with important decisions and regular tasks. Here, discover tips on various topics related to these systems. Use what you learn to ensure that optimal safety and security is achieved. The most important features of automatic residential gate openers are the safety sensors. They can save you from entrapments, injuries and serious accidents and will keep the gate from closing on your car. Since the system is exposed to the open space, our technicians suggest frequent checks and maintenance to be on the safe side. It might sound strange, but the thin layer of coating adds about 15mm onto the posts. If this is a new gate that was just installed, it's best to take that into consideration when ordering the gate. Keep it in mind also when measuring the space and installing the posts and the gate, in order to avoid issues with the gate's movement. When the wood is wet and has started to rot, the damage spreads quite quickly, even though the visible signs may not be very disturbing. If you act early on, it will most certainly be possible for the panels and the posts to be restored. The repair involves removing the damaged material and filling and sealing the holes. 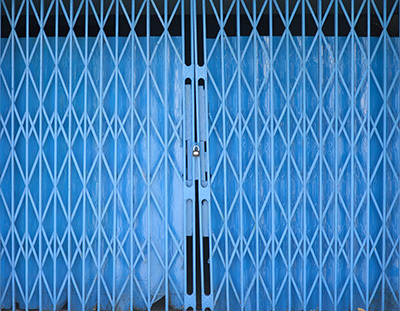 With a fresh coat of exterior-grade paint, your gate will look great and receive proper protection.